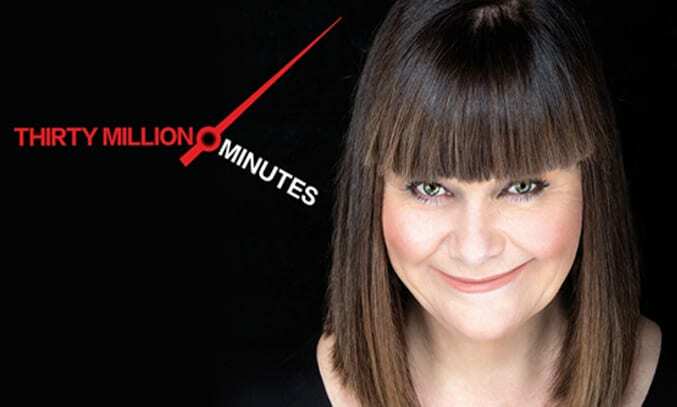 Believe it or not, 30 Million Minutes is actually Dawn French’s first ever solo tour. The Queen of British comedy may have been entertaining audiences since 1982 as one half of successful female double act French and Saunders, but it’s taken 32 years for the award-winning comedienne to take to the stage on a solo tour. Thankfully, she still has what it takes when it comes to making people laugh. Open, honest and incredibly funny, 30 Million Minutes is riveting 120 minute show based on Dawn’s incredibly life and career. From her former marriage to Lenny Henry to her agonising health troubles that forced her to shed seven stone ahead of a hysterectomy, Dawn takes us on a journey of her 57 years (which roughly adds up to 30 million minutes, hence the title) and the various lessons life has taught her. What makes 30 Million Minutes so special is Dawn’s unprecedented openness. The comedienne shares some of the most intimate parts of her life with the audience, including the devastating suicide of her beloved father when she was 19. The subject is so raw that when Dawn was recording the audiobook of her 2008 memoir Dear Fatty, she had to hand over the commentary to Lisa Tarbuck as it was too difficult for her to deal with. On stage in a similar set-up, audio switches from live dialogue to a recorded track as photographs of the man she adored and idolised flash up on a screen behind her. There’s not a dry eye in the house as we witness the inevitable emotions that Dawn must feel as she relives that devastating moment. Whilst the show contains many emotional moments, there are also plenty of funny stories too. One of the biggest laughs is at Dawn’s hilarious encounter with the Queen Mother at the age of three, whose black teeth scared her to death. Her physical mime of the time she gave her mother a DIY gynaecological examination in the bathroom is equally funny, if a little queasy, and has the audience in stitches. There are a couple of moments when the show feels a little over-scripted but Dawn’s natural charisma and flawless comic delivery helps to resolve this. The show finishes with an important message about making every moment count, especially the little ones. A moving piece of theatre from a very funny lady.